Retailers who fail to provide consumers with a customer friendly and easy returns service risk losing a large proportion of their customer base, according to new data from leading European payments provider Klarna. A survey of 2,000 UK consumers reveals that 83% of respondents who shop online would not shop with a retailer they have a bad returns experience with. 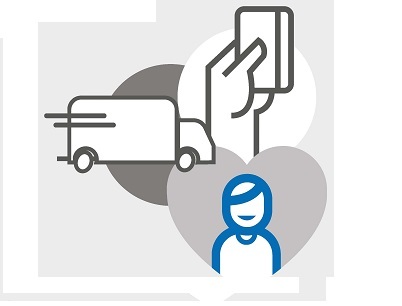 Over three quarters (77%) of online shoppers believe UK retailers need to improve their returns capabilities, while one in four (28%) have been put off returning items due to the hassle of the retailer’s returns process. Online returns are big business for British retailers today, with nearly 9 out of 10 (87%) of online shoppers having returned items they have purchased online. On average online shoppers estimate they returned 10% of their total online purchases in the last twelve months. With online spending in the UK reaching £133 billion in 2016, the online returns economy in the UK could be valued as high as £13bn. The rise of ecommerce has also sparked a revolution in consumer attitudes towards returns, with a ‘buy to try’ mentality emerging among today’s on-the-go online shoppers, who want to be able to see and feel an item before they decide to keep it. The fashion category experiences the highest rate of returns, with 57% of online shoppers returning casual clothing in the last 12 months, and 31% returning shoes. Increasingly, shoppers are turning their sitting rooms into fitting rooms – with 41% of UK online shoppers saying that they order multiple items to try on at home and send back what they don’t want. The good news for retailers is that there is a sizeable prize for getting returns right. Two thirds of online shoppers (67%) say easy returns are an essential factor in their choice of retailer. 28% of online shoppers would spend more if there was an easier online returns process, while 67% say free returns mean they will buy more from a retailer over time. This is backed up by Klarna’s own RFM analysis of consumers (Recency, Frequency and Monetary). Shopper transaction data from the payments provider shows that regular returners are more valuable customers for retailers – making more frequent purchases with a higher overall net purchase volume, even after the value of the items returned has been removed. Retailers can reap even greater rewards by linking the returns and payments processes, allowing consumers to pay once they’ve had the chance to try their goods and send back what they don’t want. Giving customers this option would make 25% of online shoppers more likely to shop again with a retailer. Meanwhile, only 9% say it would make them return more items. Luke Griffiths, UK General Manager, Klarna, said, “In the past, returns were regarded by retailers as an unwelcome cost of doing business. But consumers today demand a seamless, frictionless customer journey – whether they’re shopping, paying or returning.